We’ve done a review for the excellent Honeywell HPA300, we’ve done a review for the so-so Honeywell HPA200. Then it’s time to check the compact air purifier of the Honeywell brand – the Honeywell HPA060. If you don’t like a big machine for your home, a compact air purifier like Honeywell HPA060 is ideal for you. Let’s check the Honeywell HPA060 Review to see if this compact model is worth to put on your side table or not. Honeywell’s latest air purifier flagship is Honeywell HPA600B. 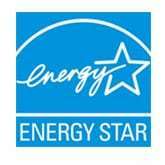 Honeywell is a brand representing the North American air purifier industry for many years. Honeywell HPA060 continues the company’s trend of offering impressive specifications at astonishingly low prices. But for a bedroom-centric air purifier, Honeywell HPA060 has many pros and cons, which we will discuss in Honeywell HPA060 Review now. The Honeywell HPA060 is the smaller version of Honeywell HPA160. As has become customary with Honeywell’s compact variants, the Honeywell HPA060 shares quite a bit of technology with its bigger brother, but is it more than just a shrunk down version? With a True HEPA filter (the same with HPA160), and an original asking price of $89, the Honeywell HPA060 was the most affordable device of Honeywell (now, it’s time for the Honeywell HPA020B and Honeywell HHT270W). This air purifier can offer what a Amazon’s Best seller Levoit LV-H132 could with a more attractive price tag, especially when you check our deal below and get a discount for a Honeywell HPA060. Positioning the Honeywell HPA060 against other companies’ compact air purifiers, like GermGuardian AC4150, GermGuardian AC4825 and Levoit LV-H126 is a very common strategy of American brands. Just like the popular GermGuardian AC4825 of Guardian Technologies, Honeywell HPA060 does a very good job at keeping up with the performance of HPA160. There are some inevitable compromises, but they have been kept to a minimum. 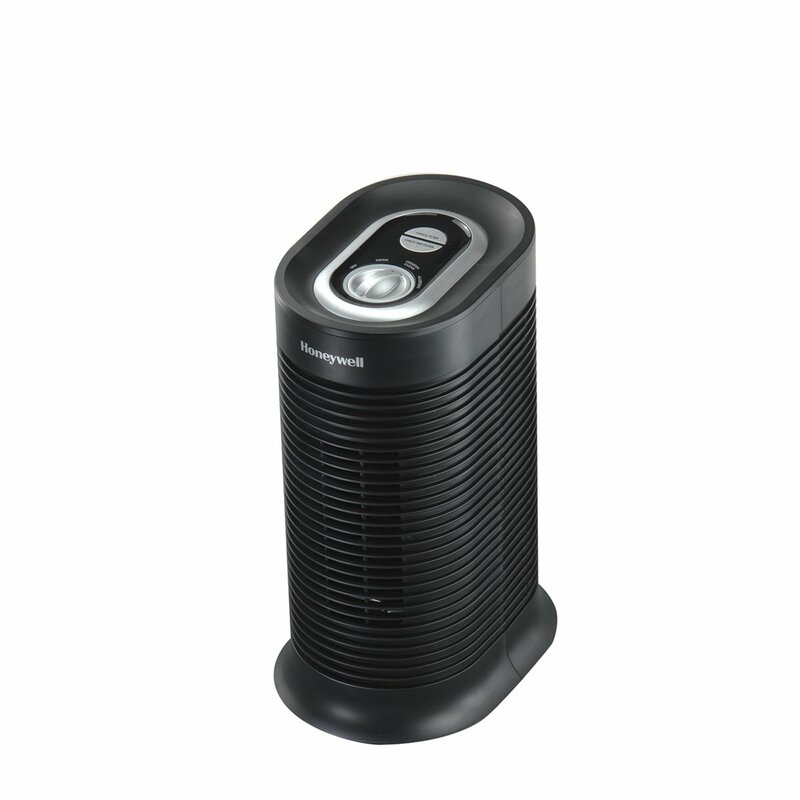 The Compact air purifier Honeywell HPA060 in black edition. Save your air in a small room. I’ll say this for Honeywell: you will know one of its air purifiers when you see one. For years now, the American manufacturer has stuck with a bulky design language all its own. The Honeywell HPA060 is what you’d get if you set out to make a HPA300 with about a third of the budget. What an expensive device might use, the compact air purifier use the exact material. This is a seriously hefty bit of kit at 15.16 inches in height and 10.69 inches in depth, which is nearly as tall as the HPA200. There’s something reassuringly sturdy about the Honeywell HPA060’s undisguised matte plastic rear panel and plain, gently curved sides. The design language looks the same like others from this brand, but the actual air flow is different. From the front and both sides of this air purifier is the air intake grills, and from the back is the air outlet grill. This design suits the best for maximizing the fan speed and makes it easy to replace the air filters. On top of the air purifier, as usual, is the classic Honeywell controller. You will control this device via one switch and two buttons. They are useful enough to switch between different modes in Honeywell HPA060. Utilitarian looks aside, the Honeywell HPA060 actually feels pretty nice. It only weighs for 6.39 lbs and the size of 15 inches is small enough to put on a side table. This is the response Honeywell do to other popular bedroom-centric air purifier brands like Levoit LV-H132, Blue Pure 411 or GermGuardian AC4150. In conclusion, you should use this compact air purifier for bedroom or a small room. Pre-filter – The pre-filter combines Activated Carbon filter in it. This will both help absorbs VOCs, gases, odors and traps larger particles. You will need to replace this filter after 3 months of usage. True HEPA filter – The Honeywell HPA060 uses a True HEPA filter to capture up to 99.97% of down to 0.3 microns contaminant particles like pet dander, mold, viruses, bacteria and pollen. Note that the HEPA filter is model HRF-H1, which is not as good as the model HRF-R2 or HRF-R3 of the latest air purifiers. 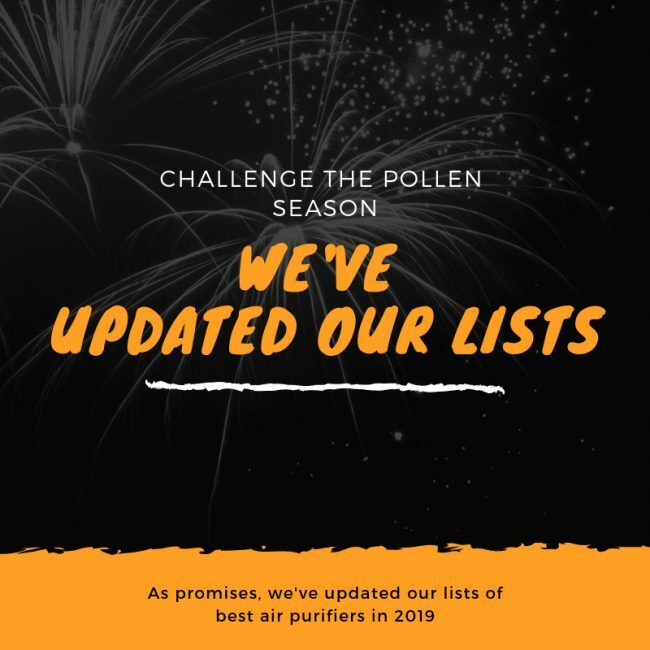 Honeywell has been one of the bolder manufacturers when it comes to pushing air filtration technology in recent times. For a small room, the performance of Honeywell HPA060 filter is amazing. With a benefit of using a great True HEPA filter – the HRF-H2, it is able to capture allergen like below. This time, I put the Honeywell HPA060 to a test with the devices from No.1 rivals of Honeywell, the Levoit LV-H132 and GermGuardian AC4150. The test conditions for these three are the same, with a room of 80 sq ft and duration of 1 hour. This test is not just for testing the efficiency of one air purifier against the pollutants with 0.3 microns in size, it will also give you a clear result of which air purifier to choose. With the True HEPA filter, both Honeywell HPA060 and Levoit LV-H132 have higher efficiency of 99.9%, while the GermGuardian AC4150 is only 85%. For a $89 air purifier, the performance of Honeywell HPA060 is truly impressive. The True HEPA filter of Honeywell HPA060 is really smooth and powerful for the price, but will cost you $32. The GermGuardian AC4150‘s air filter costs you around $24, and Levoit LV-H132 is the same with $26. A few penny can easily be ignored, especially when the HEPA filter can last for one year, while the competitors is only effective after 6 months. Honeywell HPA060 can cover a small room area of 75 sq ft. Compare to the price and the room coverage of Levoit LV-H132 and even a $399 IQAir Atem, Honeywell HPA060 even has a slight advantage. 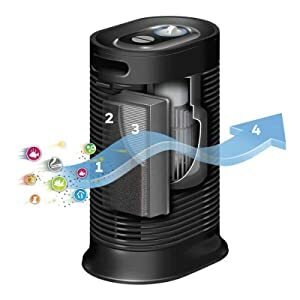 So let’s see if there are more reasons to buy this Honeywell air purifier over the best seller of Amazon air purifier or not. The ACH of Honeywell HPA060 is 5x. For a small air purifier, Honeywell still aims for a high ACH rating (air changes per hour). 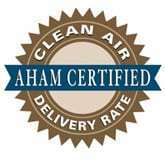 With such high ACH rating, this air purifier will clean your room every 12 minutes. The CADR of Honeywell HPA060 is 62 Dust/ 48 Smoke/ 75 Pollen (cfm). This CADR is very compatible with the room coverage of 75 sq ft. However, the compact Honeywell HPA060 has a less CADR of smoke than other Honeywell air purifiers. Probably, this is because this air purifier is mostly used for bedtime, when there is no smoke at all. There is one problem with a Honeywell’s air purifiers – the noise. It doesn’t take long to identify the culprit: the fan power. For an air purifier for bedroom, Honeywell HPA060 has a bigger fan and produces a slightly high noise level. Good news is, with high CADR, you can run this air purifier at lowest setting when you sleep. I suggest you to regularly clean the air filters of Honeywell HPA060 to reduce the noise of the fan could make. In real world use, the noise level at lowest fan speed of Honeywell HPA060 could be acceptable. One of our most FAQs is “Do air purifiers use a lot of energy?”. In fact, we need to run an air purifier for a long time to be efficient. And power consumption is one important criteria to review if this air purifier is good or not. You should put in your mind that Honeywell HPA060 is a compact air purifier. Normally, the compact air purifier consume a very low energy thanks to its smaller fan size. That being said, the power consumption of this Honeywell HPA060 is only around 37W, which is much better than any other Honeywell air purifiers. However, this energy consumption is still higher compare with Levoit LV-H132 (only 28W). For using a Honeywell HPA060 8 hours per day, it would cost you up to $14 per year. It is reasonable for you, right? We don’t expect Honeywell HPA060 to have tons of additional features at this price point. Like other classic air purifiers, Honeywell HPA060 still offers enough features like a timer or auto light dimmer setting. You will also have an electronic filter replacement LED notification. If you are finding a smart feature like Smart Sensor or App Control, there is no such thing in Honeywell HPA060. However, for a bedroom-centric air purifier, it is not a disaster without some smart features. If you still insist on something smart like these features, you could purchase the AeraMax 100, with the same price range. Honeywell HPA060 is a quite cheap and old model air purifier to buy, but you would love the price of this machine. This air purifier owns a great strength to keep up with the modern devices, but the noise and the lack of smart features might bring it down to the bottom of our list. If you are loyal to Honeywell brand and in need a compact air purifier, however, this air purifier is still good for you. Should I buy Honeywell HPA060? Yes, you still get a lot of deals for this Honeywell HPA060 and you can get more benefits from buying it. If you have serious allergies or asthma to airborne pollutants: the Honeywell HPA060 is powerful with the high-quality True HEPA filter. If you want a better performance, or better fan power to clean your room faster: in this price range, the Honeywell HPA060 has an average fan power. If you need an air purifier with a better room coverage: you can buy the Honeywell HPA030B or Honeywell HPA100 with double the price tag of Honeywell HPA060. If you need a budget version of this air purifier: if you don’t need the True HEPA filter, you can buy the Honeywell HHT270W. If you care about the annual filter cost and energy cost: the Honeywell HPA060 has the most affordable air filter for the price. The Honeywell HPA060 takes the price as the best advantage when competing with other True HEPA air purifiers. A staple choice for your bedroom, though you might not love its Honeywell repetitive design.